Days are fast drawing close to yet another season of mist, haze and cold waves when we all will be forced to take refuge into whatever promises the soothing of much desired warmth. Everyone has his or her own way of alleviating the buffeting of cold waves dictated by topography, financial status and individual traits. So if bonfires come to the rescue of poor and rustic, air-conditioned interiors provide respite to those who are well heeled. If woolen sweaters, jackets and blazers adorn our personality then woolen blankets come in as all-in-one for those for whom these few months become a test of survival. If ‘khoa’ and ‘gajar-pak’ become the most wanted dish to gorge on along with dry fruits cutting across the social lines then tea and coffee serve as faithful friends ready to embrace us into their snuggles at the time of our choice. Being a north Indian and having had a rural upbringing I have always had a special relationship with tea. Tea presents itself as an absolute un-racial drink that doesn’t discriminate on Any parameter and strings together everyone. What follows is somewhat delineation of the esteem I hold this wonderful warm drink in. I will strictly limit my ramblings of tea as I have seen it and as I see it. 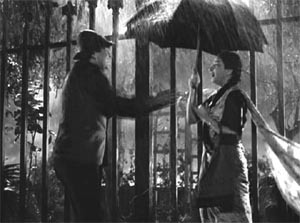 In the visuals of famous song Pyaar Hua Iqrar Hua from ‘Shree 420’ the image of a poor tea vendor relishing the tea under a makeshift plastic roof along a pavement as Raj Kapoor and Nargis pass by him romancing under an umbrella in downpour mirrors the place of tea for a poor person in adversity and its poetry infused in romance. A cup of tea has in it something more than just water, milk, sugar and caffeine. I dare to equate tea with anything with loads of aesthetics in it: a heart-touching and pleasure endowing poem, an eye warming painting, an enchanting piece of music whose first bars go a long way in arresting every pore of heart or even a story that reveals itself with every sip. But despite being so munificent, generous and down to earth as to be available at everyone’s disposal not every tea drinker can derive that aesthetic pleasure which tea itself takes so pride in. I have seen people and amongst them I include myself as well (keeping modesty at bay) who possess the eyes to read poetry hidden in the tea and for whom having the experience of sipping tea has its own aesthetic value. For this class of tea drinkers tea ceases to be just a simple cup of tea and impersonates the might and magic of rainbow that colors the whole surroundings, the company and the full ambiance in which the tea is being drunk in its colors. For them tea is not just any other drink to rejuvenate the senses or while away a little time but an intoxicated journey that begins at first sip and ends at last slurp but not before bestowing upon their hearts an ineffable joy (which is beneath my description but my love for tea makes me indulge in cosseting its beautified warmth and inebriated steam). A vibrant evening, a chivalrous rain, a romantic or affectionate companionship, a foggy morning and a tranquil solitude are just some of the instances that define and delineate the tea in their own colors and swaddle the tea-drinking experience in their own bliss. Feelings, mood, the degree of romanticism and color of the day too bathe tea in their own flavors. Sometimes these tea-Lovers carrying the widest possible meaning of the word “Lovers” might not be that dedicated to tea on frequency scale but whenever they wet their lips with the poetry of tea the melody of rhythms played on a classical instrument serenades in every cockle of their heart and it goes without saying that surroundings too can’t remain untouched of their romance with tea. As they see before them a glass or cup full of tea and begin trickling it down their throats every nerve of their body gets the message that true romance knows no prejudice. It is only a matter of loving and being loved, as simple as that. It is only a matter of utter peace and absolute pleasure, again as simple as that. Though every season has its own special relationship with tea, in north India tea has a little leaning towards winter. In winter tea is humble enough to recite its poetry and show its art even to those for whom aestheticism is as insignificant and distant as eight packs of Aamir Khan and words of politicians are to most Indians. In winter, tea is at its compassionate and dispassionate best and becomes a sole savior of those who live on pavements, in shacks or in hundreds of places Meant naturally only for such people. In winter tea doesn’t object the expletive ridden talks, rugged hands, unshaven cheeks, filthy collars and odd hours when it comes to lavishing the sorcery of aestheticism. When scant clothes fall short of covering the otherwise valorous flesh it is the tea in the company of fire that comes to rescue of those who live on edges. Tea reduces the distance of their invisibility amongst at least themselves. Tea knows the art of meeting different people in different ways and most often ends up as a calming balmy breeze. For those who live alone, the very process of making tea or a walking up to nearest tea stall or restaurant is as joyous as the act of drinking tea. The distance covered in anticipation lends itself with a strange nostalgia even before the event of tea drinking sends itself into the annals of past. Tea dons itself with new colors and flights the drinker into an enraptured feeling when one makes the tea on his own and then snuggles into quilt with a book in hand (if drinker happens to be a book lover) or light or saccharine music is playing near by in sotto voce or any favorite film is seen along with (if drinker happens to be a cinephile). Normally people associate biscuits or other condiments with tea but for me it is book or a film or a confab with few ( for me ‘few’ never exceeds more than one or in the extreme circumstances two) like minded people or close family members which makes more sense while I am one with the aesthetic pleasures of tea-drinking. The ideal combination of a book or a film with tea coupled with ecstatic ambiance makes for a memorable experience. Having a cup of tea with a girl one has intense feelings for too is one experience worth talking about and feeling vicariously years and years down the line. Sadly this experience has eluded me till now. How much does one enjoy having a cup of tea with one’s wife, I would reserve my comment about. May be it has something to do with state and stage of marriage. At this juncture in my life I don’t have any fascination for such a vapid scenario. I often have longed for a confab over a steaming cup of tea with a beautiful girl fancied by me but never ever have the thought of sipping tea in the company of ‘the wife’ ever struck me. I fail to see any aesthetic pleasure coming out of such an event. Though, I reserve the right to say otherwise if the beautiful girl succeeds in surviving the marriage. Tea drinking in group with someone throwing jokes or some discussion capturing the mind space may take the sheen out of experience of tea drinking. I believe that reduces the tea to fringes and what actually is a heartwarming ditty ends up being a mute hapless spectator. Though an avid Tea-drinker in the broadest sense of aestheticism, I never derive the same pleasure while savoring tea in public or group. Even the most soothing ambiance might fall prey to cacophony of a group. But yet of summer and winter tea, it is the winter tea which is more open hearted when it comes to lavishing people with ecstasy and bliss, may be in collusion with chilling winds. Thereby in winter somehow sometimes tea may just about squeak through in retaining its qualities for me even in group. One memory imprinted on my mind indelibly is of having a cup or even baati (a small steal bowl with sides bulging outwards) of tea in those glorious and motherly dawns I would savor in my maternal grandfather’s home. Those were the good old days of my early childhood to adolescent. Every summer and winter holidays I would visit my maternal grandfather’s home and enjoy every bit of the time I had at my disposal. But certainly these were the wintry dawns colored in misty hues, half woken and half asleep, making quilts the most prized possession one can have I waited for with an indecipherable romanticism in my eyes. As the first bout of rays of sun would stream through windows, my idea of ecstasy and rapture would come to an abrupt end. To me, those rays of sun, waited for and greeted eagerly by every other member of family, alarmed the beginning of another day whose arid routine paled into insignificance before the romance of those early hours which was perfectly complemented by one or two or even three (especially for my mother and grandmother) steaming glasses or baatiyan of tea (we have never had tea in cups). I vividly remember the setting of charpoys in central hall (saal). The rectangular hall housed in it another small room perennially engulfed in crepuscular darkness called kothri on its right. In addition to two rarely moved charpoys placed along the corners formed by a wall partitioning the kothari and saal, there was another charpoy off and on placed right in front of the door. Still there was space left for at least three more charpoys that would fill up depending upon the number of people sleeping in saal. Of the two rarely moved charpoys one was, as I had seen, reserved for my grandfather. Even today I can imagine him sitting cross legged, wrapped in a thick quilt letting only his face, turbaned head, chest and right hand held out resting on wrinkles of quilt when not slurping, holding a baati full of tea up to brim. The unbuttoned cuff of his sleeve would wave as and when he moved the hand up and down to take a sip. Rest of the charpoys were used by other members of the family. Which charpoy would I use to have my slumber was at my discretion and sometimes at the mercy of my slumber even. So barring one, no charpoy had its dedicated user. Because my grandmother had to wake up quite early in the morning to milk the buffalo, she would often thought it fit to make tea for grandfather and herself and chat away with him over tea instead of going to slumber again. I believe this is how most of the women in peasant families begin their day. She would never wake me up. So I would often skip the first tea, the dawn tea. It was only when she would go to chulha (hearth) again around 6 a.m. that she roused me. As I would try to open my eyes, sometimes while shifting myself towards upper part of charpoy and sometimes trying to come to terms with sudden loss of warm nest of kip, I would so often see with my drowsy eyes grandfather settled comfy in his charpoy, drinking tea (in case I took it quite a while to wake up).Grandmother would come inside with a lota (small round pot of steal) dangling from finger tips of her hand or edges of lota pressed between her thumb and index finger, make herself sit cross-legged or with one leg squatted right beside head of my charpoy and call with utter tenderness, “Modaaaa, cha le le”(take tea) and hand me a baati of tea. As I would slurp, with only my head and hand outside the safe haven of quilt, my grandfather and grandmother would chat over tea diverse range of topics, mostly concerned to their way of life. Sometimes, when my mother would be there she too actively took part in conversation. The image of this triumvirate of my mother, grandmother and grandfather indulging in conversation over tea and honoring it by bestowing upon it the status of the only witness to the close proximity they shared with each other is still fresh in my mind. Sitting at their respective places they would drink baati after baati and give their morning a caffeinated kickstart. To me this whole scenario of having tea in the midst of my grandmother and grandfather, listening to their conversation, feeling the chill of dawn, warmth of quilt and seeing the smoke of fog outside the door drawing portraits of slender clouds seemed nothing short of a heartwarming painting. I wished for time to stop, fog outside and conversation inside to forge a bond and implored to them to refuse to withdraw from the face of early morning. Though I didn’t have even faintest idea of aesthetic pleasure back then (even now only a vague idea) but I prayed for that moment to become everlasting. With every passing moment I felt as if something was being slipped from my hands. The very moment my grandmother would finish her tea and stand up and my grandfather would make himself free of the quilt and leave his charpoy, I would willy-nilly and helplessly bid goodbye to my most thrilling moment of the day. The rays of sun further confirmed the end of my lovely dawn and arrival of day and thus a banality. Rounds of tea in day time too were pleasant but did not evoke the same feelings and pleasance. In northern India tea is one drink with which often, or rather very often guests are served. Even in extreme summer, sometimes guests are served with tea with no acknowledgement of their wishes. I never find such tea which I get to savour as a guest even close to rejuvenating much less poetic. Though I try my best to avoid tea while being guest often I have found myself being subjected to such dry tea sessions. With all due respect to the feelings of my hosts, to me, my favorite drink tea begins to impersonate a stranger who is hell bent upon being rude to me when being served with formal de rigueur. To this day, I haven’t come across any aberration to this experience but I am open. I hope I would say otherwise soon. Tea has a special relationship with book worms who keep gulping word after word through their eyes even as their lips are busy kissing the edges of cup. 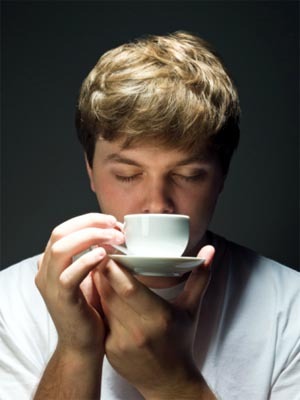 Most students turn tea drinkers during their exam session. Not only tea helps them stay up late into nights and wake up early in the morning but also help them keep inevitable anxiety at bay. To prolong our swotting period for our board exams of 10th standard in Navodaya, our Principal Sir had made some special arrangements. He introduced, hitherto non existent concept of early dawn tea to be offered at exact 4 a.m. to lure us into waking up that early. We did but for entirely different reasons. It was left to girls to prepare a cauldron full of tea and ladle it out into steal glasses held in the hand of first one in the queue. As the girl would bend down to pour tea in our glasses the glimpse of her cleavage gave us the feeling of having pakode which obviously our Principal Sir had not arranged for with tea as well. Most returned to their slumber and dreams after having had darshan. In this case the aesthetic pleasure made way for sensual pleasure. Tea in Navodaya never brought with it the kind of aesthetic pleasure I am talking about here. On the contrary it was reduced to a formality which we had to play every other day for most part of the year. I can’t recall even a single instance related with tea which left its roots on my mind barring that one exam month. This is the testimony to the fact how this residential school was not in keeping with the highest traditions of regard for sensitivity of a child. This was despite the presence of some genuine good Teachers and Principals whose presence I was fortunate enough to savour and be availed of but as the fledgling school grew in age it found it quite ironically on the path of becoming imbecile and indifferent. It lost the very essence of meaning upon pretext of which it was made to come into being. During my graduation days when we, a group of friends, would bike our way to a tea khokha (tea stall) some 7 or 8 kilometers from our abode in the dead of the night tea rose to the heights of a drink which was worth splurging not only time but also braving cold waves and sporadic boorish police questioning. Tea was the drink which helped me on countless occasions raise myself in the exultations of having to get to see and feel the muse of my reveries and liminal poetry of my heart at the same time. In college canteen, I would park myself on a vantage stool with a cup of tea in my hand and gaze at her, a pretty girl I had developed a fancy for. Staring at her would bring as much ecstasy to my heart as sipping the glass of tea to lips, tongue, throat and mind. Eyes would keep her in their range as fingers of my right hand savoured steaming glass full of tea up to brims. What other moment could have gifted eyes and lips their feast at the same time in such a sublime fashion. Every sip of tea when drunk with aesthetic pleasure helps me tie the moments of time otherwise seemingly slipping out of my hand. Tea helps me attain a state of near ataraxia. Here at Neemrana whenever I stop by a near-by khokha (tea stall) or a restaurant, a few steps further up while strolling about in the evening owing to my utter desire to seek a poetic rapture out of the wonderful picturesque ambiance then it is tea that helps me in tying together all the different ingredients and entities of nature together, pour them down in tea and let every nerve of my body, mind and soul experience the Shangri-la of nature. So more often than not, it is not just the mere prosaic task of gulping down the tea which takes me to this warm magical drink but its power in connivance with soothing ambiance of reintroducing the metaphors of lost and banished reveries to my poesy side and endowing my fingers with a kind of warmness one can only feel either in lap of mother or embrace of romance. One urge which often overwhelms me while I am at home is to have tea with television switched on. After disposing off usual morning chores I come back to room, switch on the television and wait for tea to come. Company of my father in case we are opened enough to talk or my mother only adds to the pleasure. This half an hour oft makes me long for it while I am not at home. No amount of tea after the day is worn on can rival this half an hour though evening tea might come a little closer. This half an hour among other reasons is often a major propellant in driving me towards home whenever I can. In the wake of long absences from home it is my sister’s home which provides me with my morning tea tonic. Whenever I visit her I make it a point to wake up a little early and indulge in my favorite idea of bliss i.e. eyes alternatively on T.V. and paper and lips sourcing the tea for tongue to taste and for soul to relish. The water with which their tea is made remains the only sour point. It is not only tea but place, time, ambiance, weather, company and nature of the tea drinker when all combined gives the tea-drinking its deserved and august status. My parents, both consummate tea drinkers, occasionally prone to quibble find themselves not only at peace with each other but also end up confabulating over something or other whenever tea plays the role of mediator. If I try to draw some meaning or sense out of this whole experience of tea drinking all I would come up with is intoxication of my being out of which engenders a poem of elation, romance and immaculateness of heart and soul. Yes, to me it is the winter season which I am passionately obsessed with that makes for a greater ambiance to realize the absolute definition of tea-drinking. In the winter season when fog visits me bringing in its armory similes, metaphors, rhymes, alliterations, paintings and rhythm of soothing cold and dew bathed in hazy ambiance, songs and poems embrace me in their warm hugs. Then the event of muse of tea taking me to soaring sky is nothing short of ideal definition of heaven. As I finish my college and come to canteen to have tea having been relieved of day’s work every sip of tea prepares me to greet the remaining half of the day. Tea ceases to be just tea and impersonates a girl friend whose devotion is beyond the slightest of doubt and every word emanating out of her mouth nestles in it the strength of thousands of inspiration books and homilies. I may not be that great tea-drinker if measured on the scale of frequency; I deem tea an essential part of my whole self.